Who Should Watch Big Farms? the pasture are fading from the landscape. Michigan, and in the West, in states such as Oregon and Idaho, they either have transferred or are working to transfer oversight power to the state agriculture departments – and get U.S. EPA approval. 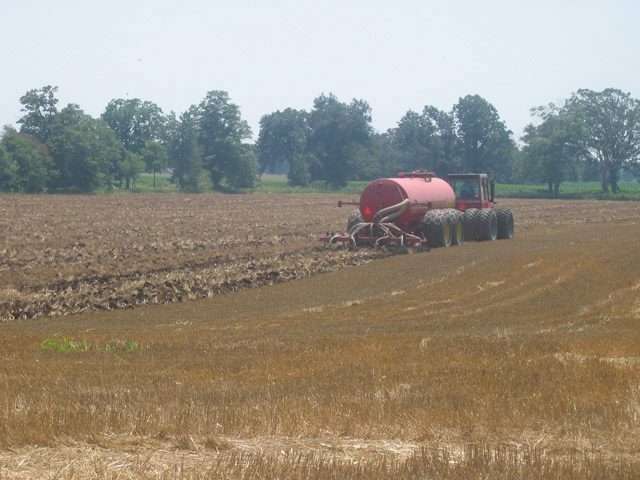 manure is eventually spread onto farm fields. waste has also gotten into drinking water and made people sick. Michigan. It’s like putting the fox in charge of the chicken coop. switch now actually make it happen. Karla Raettig is an attorney with the Environmental Integrity Project. It’s a group that’s been critical of weakening environmental laws. enforcement from an environmental agency. The disease is called viral hemorrhagic septicemia. It can cause fish to bleed internally and die. The disease is harmless to humans, but federal regulators say it could lead to massive die-offs for up to 37 different species of fish, so they’ve stopped fisheries in the eight Great Lakes states, and two Canadian provinces from shipping those species over state lines. The ban only affects live fish. Jim Rogers is a spokesman with the US Department of Agriculture. He says the ban is meant to stop the spread of the disease while officials figure out what to do next. The fishing industry in the Great Lakes has been valued at more than $4 billion a year. Scott Singer is on a mission to promote switchgrass as an alternative to fossil fuels. Singer’s a wildlife biologist with the US Department of Agriculture. He says the tall grass grows in most parts of the US, even in harsh conditions such as when there’s a drought. Most importantly, Singer says switchgrass can easily be converted to fuel that’s cleaner to burn than coal. He says it’s a good crop to grow, because it takes less time to plant and harvest. Singer’s working on a pilot project to demonstrate the technology. He says fuel pellets made from switchgrass can be used in stoves that usually burn wood or power plants that usually burn coal. For the Environment Report, I’m Brad Linder. The Gingerich Farm isn’t hard to find. 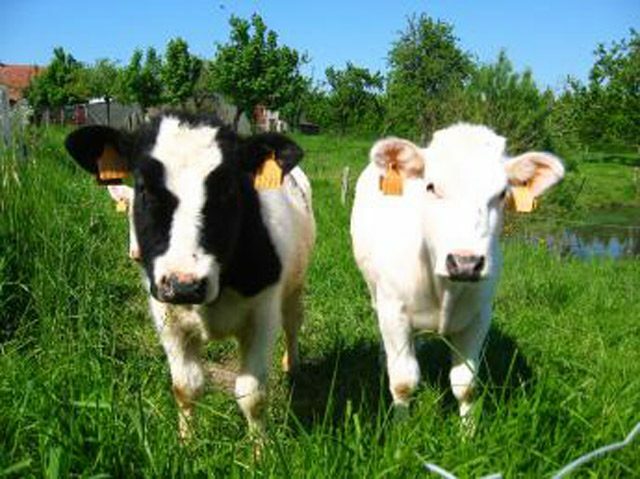 Its fields are speckled with hundreds of black and white Holsteins. Dairy farmer Earl Gingerich Jr. takes us inside one of the barns for a closer look at some of his babies. Gingerich is rather fond of the five hundred cows on his Western New York farm, and he doesn’t mind the hard work that goes along with them. Seven days a week, in good weather and bad. For him, Gingerich says it’s all about the cows. So, Gingerich says anything he can do to protect his herd is a good idea. He takes part in the state’s voluntary vaccination program. Bright orange tags, each bearing a bold black number, are evidence of that. They dangle from the cows’ ears as they flick away barn flies while chewing the newest cut of hay. But these tags will soon be obsolete. By 2009, the Department of Agriculture’s national animal identification program will require a standardized tracking system for every livestock animal in the United States. Bruce Akey is an Assistant Veterinarian for New York state. He says the system will be able to trace the movements of animals backwards and forwards. It’s the integrity of that database that is one major concern for many farmers and their advocates. They say animal rights extremists or terrorists could also get access to the information on the database about farms. Farmers worry they could learn about chemicals and medicines used at the farm, and use it against them. Dairy farmer Earl Gingerich knows first-hand what can happen. Someone used a batch of antibiotics to contaminate ten thousand pounds of milk on his farm. One microchip ID method being advanced in New York and other states is heightening bio-security concerns. 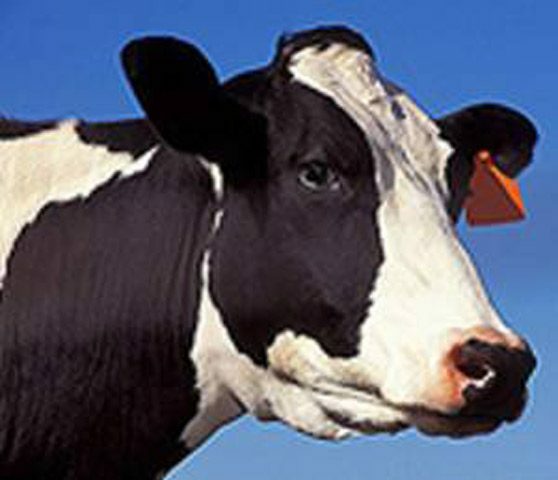 The radio frequency chips can are embedded in ear tags or injected under the animals’ skin. The stored data is read by large panel scanners at auction barns or hand held models, available to anyone. The cost is also still a big question. Maybe a few dollars for each chip and about five thousand dollars for large readers. Peter Gregg is spokesman for the state’s Farm Bureau. He says they support a national tracking system, but Gregg says the government will have to make it secure – and pay for it. State veteranarian Bruce Akey says the government is listening to those concerns. He says they’re working to make the program cost-neutral or at least share costs with farmers. And Akey says Congress is hearing arguments that a private entity, such as a cooperative, should be allowed to manage the database. Advocates say they prefer that to the government being in charge of private information. But Akey says either way, there has to be a dependable way to track animals. For now, states are rushing to comply with the first phase of the national ID program. By March of next year, every livestock and poultry farm in the country must be located and assigned a premises identification number. Then, each and every farm creature – be it cow or horse, elk or fish – will get its very own animal social security number. For the GLRC, I’m Joyce Kryszak. The project is called Harrison Ethanol. It will include an ethanol factory, using millions of bushels of corn to produce the gasoline additive. At the same location, thousands of dairy and beef cattle will live in fully enclosed barns. And then there’s the small power plant, which will be fueled by manure produced by the cattle. Wendel Dreve is the project’s director. Dreve began working on the project nearly 4 years ago. He’s retired from the oil and gas industry and built a home in eastern Ohio farm country. His neighbors approached him about starting up a corn-powered ethanol factory – something that has not existed in Ohio in a decade. The 12-thousand cattle housed on site, will eat the main byproduct of ethanol production, a corn mush called distillers grains. The cattle will generate money too, from sales of milk and meat. But the cattle will create manure… lots of manure… about 50 million gallons of it a year. Dreve has a solution for that, too: a power-generating anaerobic digester. 60 times a day, manure will be flushed out of the animal barns and into the digester. A large, cement structure, where the manure is broken down by microbes. The methane will run power generators, creating “green energy,” which can be sold at a premium. The carbon dioxide from the manure will be sold to make carbonated sodas. This would be the first anaerobic digester powered by cattle manure in Ohio, and one of only a handful nationwide. Dreve says his digester will be much better for the environment than open-air manure lagoons, the cheaper method most commonly used by farmers. But not everyone agrees. Bill Weida is an economist and director of the Grace Factory Farm Project which opposes large concentrated animal farms. Weida says most anaerobic digesters are paid for with some kind of government assistance. Harrison Ethanol is no exception. The project received a 500-thousand-dollar grant from the U.S. Department of Agriculture to help pay for the digester. Harrison Ethanol also is receiving seventy-million dollars in financing assistance from the state of Ohio. In fact, the company indicates it got some very good legal and accounting help, to find the perfect location for the project to take advantage of state and federal tax credits. Add to that federal ethanol subsidies and federal subsidies for corn production, and Harrison Ethanol is getting plenty of help from taxpayers. Ken Cook is executive director of the Environmental Working Group. He says ethanol might reduce air pollution and reliance on foreign oil, but it is not economically viable without those huge taxpayer subsidies. That’s not how state officials see it. Bill Teets is a spokesman for the Department of Development which has been working to bring several ethanol plants to Ohio. And if everything goes as planned, Wendel Dreve will build 2 more ethanol and cattle operations in Ohio. He’s already secured tax dollars from state and federal sources for those plants. For the Great Lakes Radio Consortium, I’m Tamara Keith. A related GLRC story on ethanol. 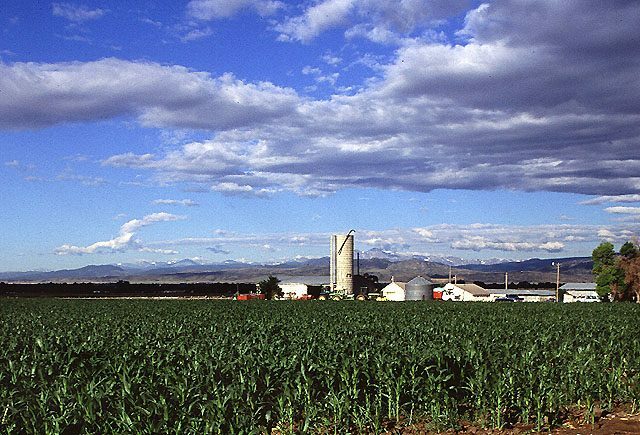 There are concerns about some of the claims by the corn-based fuel’s makers. There are a lot of crows here. About 63,000 of them are in the city. The trees are thick with them. At dawn and dusk, so is the sky. Bird feces coats city sidewalks and parked cars. Amy Emedon lives in town. She’s used to the crows. Crows have been wintering in Auburn, New York for more than 100 years. Written records from as early as 1911 describe a very large roost downtown. Auburn has the largest crow roost in the state. This winter, city officials hired the U.S. Department of Agriculture to haze the crows. 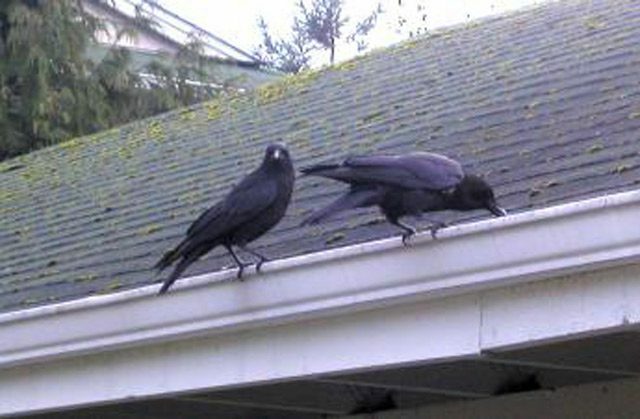 Hazing means the eight USDA scientists drive around town using recorded crow distress calls, pyrotechnics and laser pointers – anything that will upset the birds and drive them out. Sometimes this includes shooting the birds, but not in New York state. Richard Chipman is the New York state director of the USDA’s wildlife services project. He says the idea is to move the birds to a more “natural” habitat. The only problem with this plan is that the crows really like being in cities. The birds are smart. They’re communal. They recognize that they’re safer downtown than out-of-town. Kevin Mcgowan is an ornithologist at Cornell University who has studied crows for 16 years. He’s heard of large crow roosts in cities across the nation, ranging from 100 birds to two million. Mcgowan says it’s usually warmer in cities. Crows like that. And they like the big trees and streetlights. Mcgowan says crows started settling in U.S. cities in much larger numbers in the 1970s and 1980s, after a change to the Federal Migratory Bird Treaty Act. As a result, people changed their behavior. They didn’t shoot crows as much, so the crows became less scared of them and moved closer. In other words, crows have realized that cities are safer habitats than their “natural” environment. Mcgowan says he’s seen it before. Whether the USDA can break that pattern in cities like Auburn remains to be seen. Scientists have surveyed this city and harrassed the remaining crows. But they might have to return next winter to do the same thing again. And Auburn officials, like those in other crow-filled cities, might need to consider changing those things that attract crows in the first place, rather than just focusing on scaring the birds away. 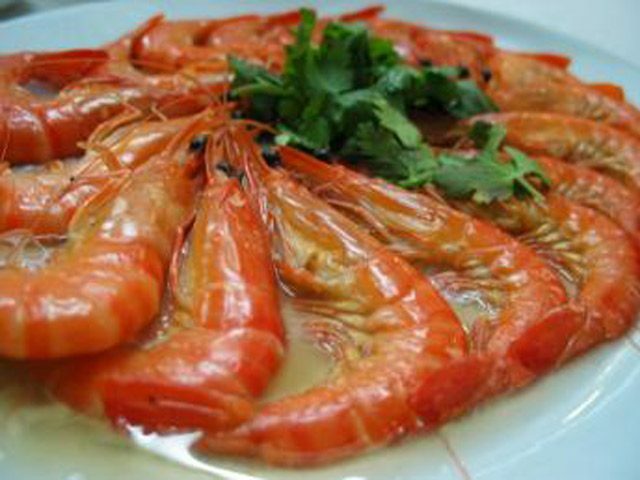 The label will tell the country of origin and whether the seafood was farmed or wild. Processed foods like canned tuna or fishsticks will be exempt and smaller stores won’t be required to label their food. The new law is supported by some in the fishing industry who think shoppers would rather buy seafood caught in U.S. waters. But other suppliers and retailers complain the law is forced marketing and has nothing to do with food safety. Linda Candler is with the National Fisheries Institute. She says it will cost billions of dollars for the industry to keep track of all the necessary information. The law is now in effect. But the U.S. Department of Agriculture won’t enforce it for six months. They say that will give the industry some time to adjust to new requirements. For the Great Lakes Radio Consortium, I’m Peter Payette. 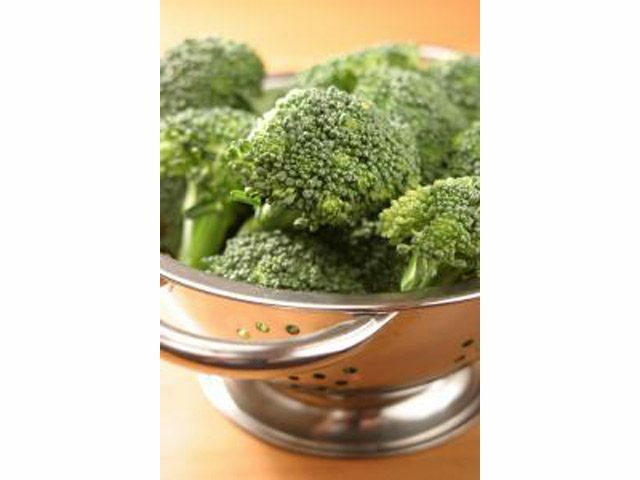 among European consumers in bio-tech food products. to analyze the genetic make-up of seeds. help ensure farmers get what they expect. For the Great Lakes Radio Consortium, I’m Maria Hickey. aspirin. But the EPA still had some worries. people say, if it turns up in irrigation water, it could turn up in drinking water. used herbicide. It shows up in drinking water in many parts of the country, at very low levels. it might be affecting people too. But the EPA does have one major concern — the effect Balance might have on other crops. lettuce, the herbicide could hurt crop yields. other states. He says the results are mixed. concentrations than scientists originally predicted. says areas with coarse or sandy soil, or shallow bedrock, are especially vulnerable. Stoddard says he’s weighing the risk of polluted water against the benefits Balance might offer. adding the new product to their arsenal, they can cut down on their use of other herbicides. putting him at a disadvantage compared to other farmers. farmers use Balance in their states.